Fans of Showtime’s Wall Street drama Billions have been intrigued by the mysterious new character introduced this season, a genius intern named Taylor played with a strange combination of mental electricity and physical monotony by actor Asia Kate Dillon. 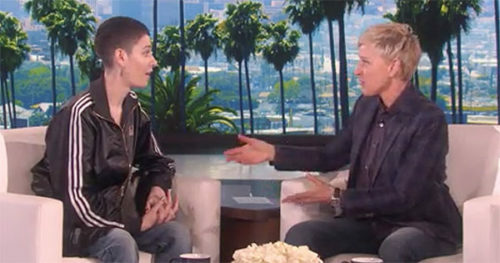 The character, as first described to them, was “female non-binary,” Dillon told Ellen DeGeneres this week as they visited her talk show. Dillon explained they prefer the pronouns “they, them, their,” and DeGeneres confessed she need to be educated on this, to show her guest the proper respect. 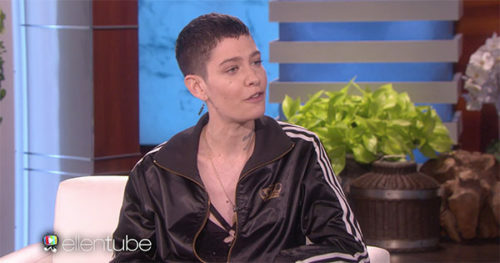 Asia Kate Dillon (left) on the set with Ellen DeGeneres.